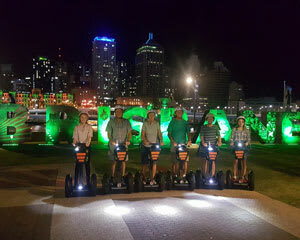 Segways are so much fun, this Segway night adventure is a 135 minute (2 hour 15 minute) Joy Ride experience, riding the i2 Segway the sports car of all Segways. Zip up Ivory Lane (so steep, dependant on ability, alternative route available) over the Story Bridge, see beautiful views along the way but most of all enjoy the segway thrill. This tour glides over 25 kilometres in distance, with lots of thrills and challenges along the way. This segway experience is a total BLAST!